West 130th Street, South side of the Street, approaching Adam Clayton Powell Jr Blvd. 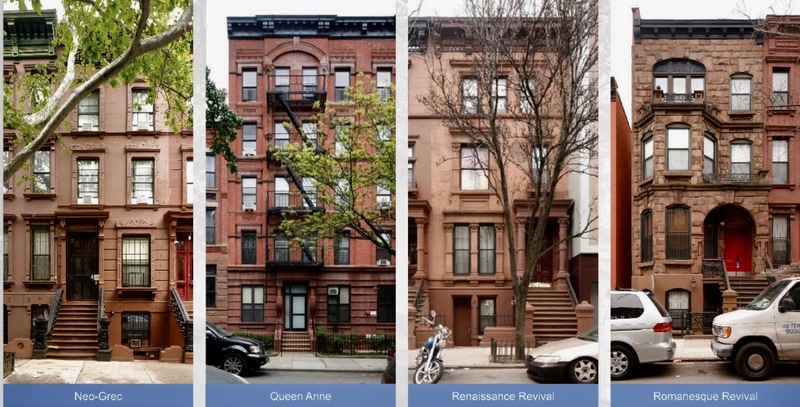 The New York City Landmarks Preservation Commission (LPC) designated the Central Harlem ~ West 130-132nd Street between Lenox Avenue and Adam Clayton Powell Jr Blvd a Historic District on May 29, 2018, and approved that proposal on September 27, 2018, when a full City Council vote took place. 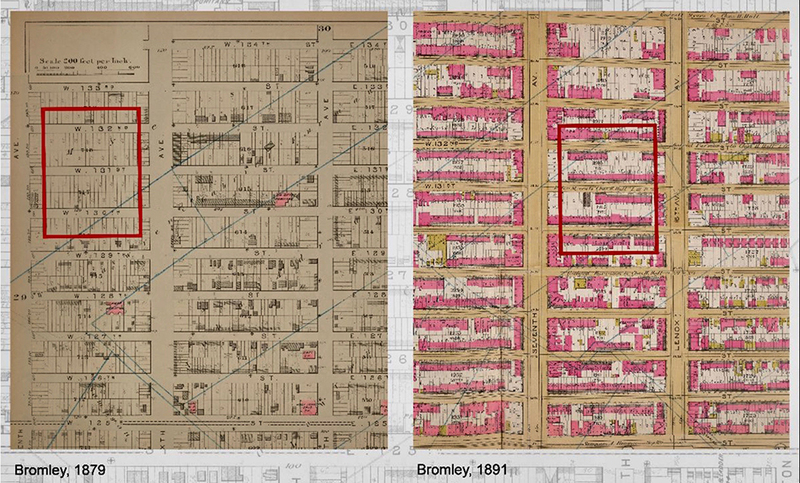 The maps above show the number of empty lots in the district in 1879 vs 1891. 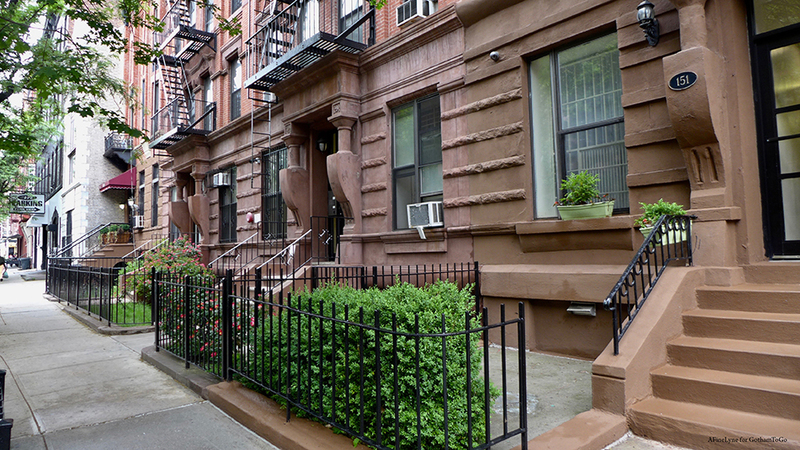 The speculative development of row houses filled the lots creating cohesive streetscapes. 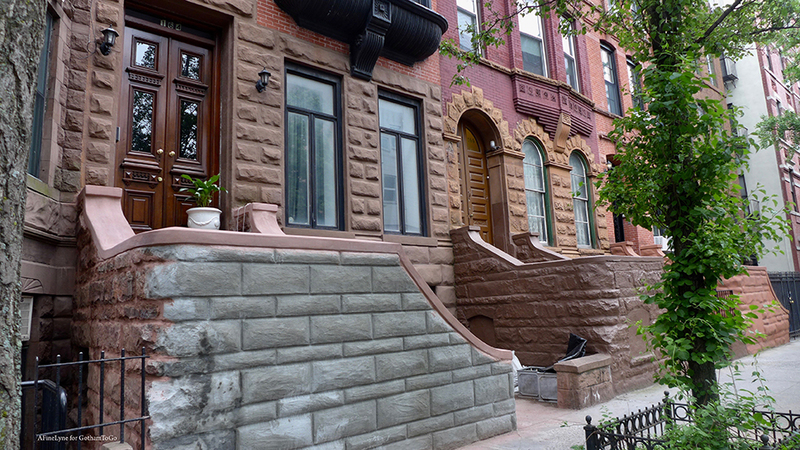 The streetscapes consisted of four architectural styles, shown above, all in a consistent palette of brick and brownstone. They were not only single family and multi-family homes, but also social clubs, churches, doctors offices, art groups, and funeral homes. 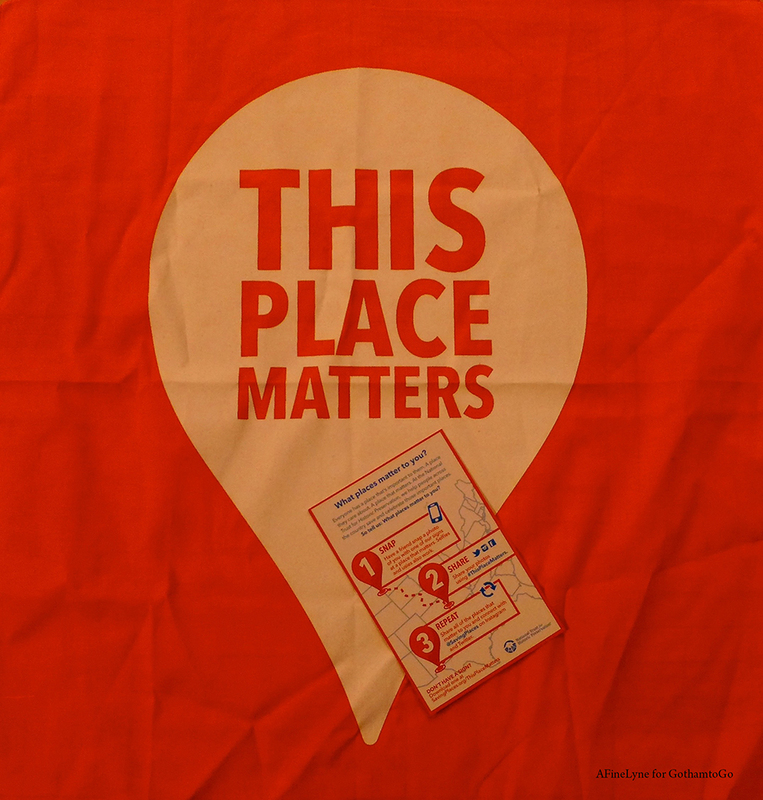 Examples are the Utopia Neighborhood Club and Sojourner Truth House. 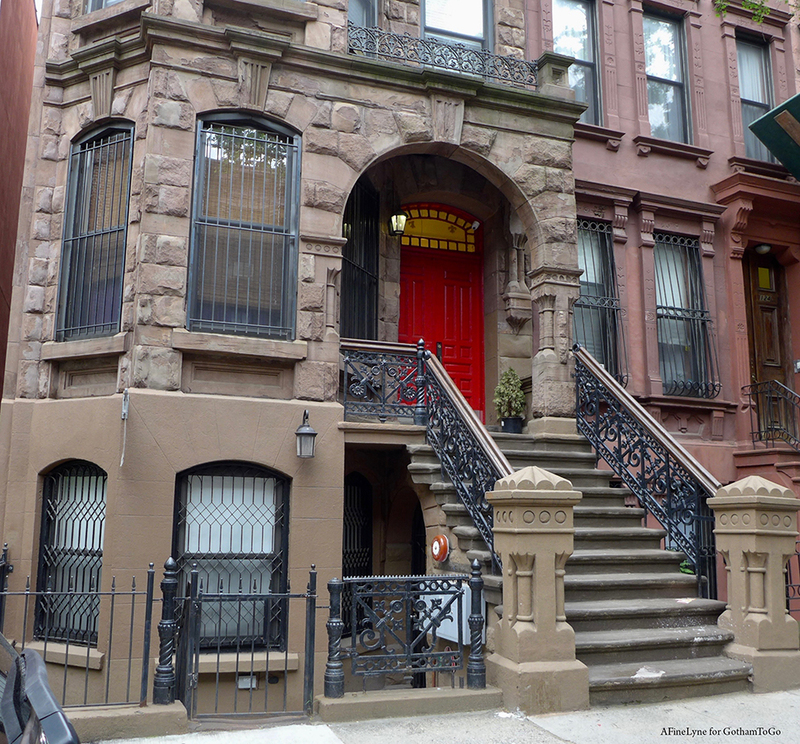 The private home at 170 West 130th Street became the Sojourner Truth House in 1920, providing temporary care for “delinquent colored girls.” This organization was created by the Utopia Neighborhood Club, which was an African-American women’s social club. 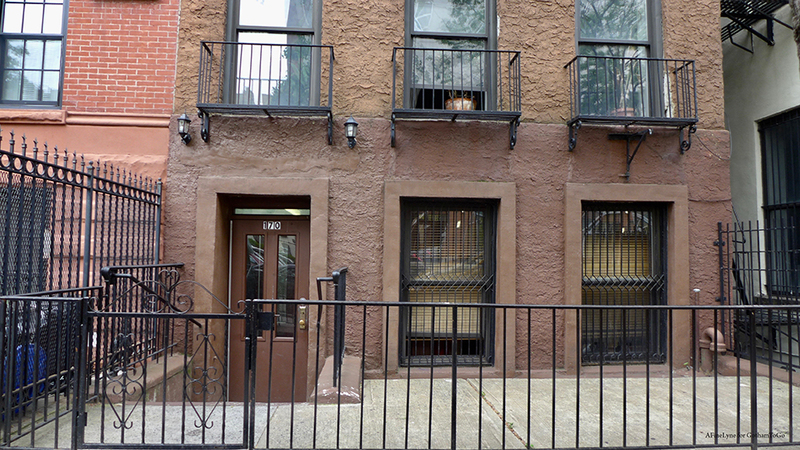 170 w 130th st was national headquarter for the march on washington in 1963, but previously was the Sojourner Truth House in 1920. 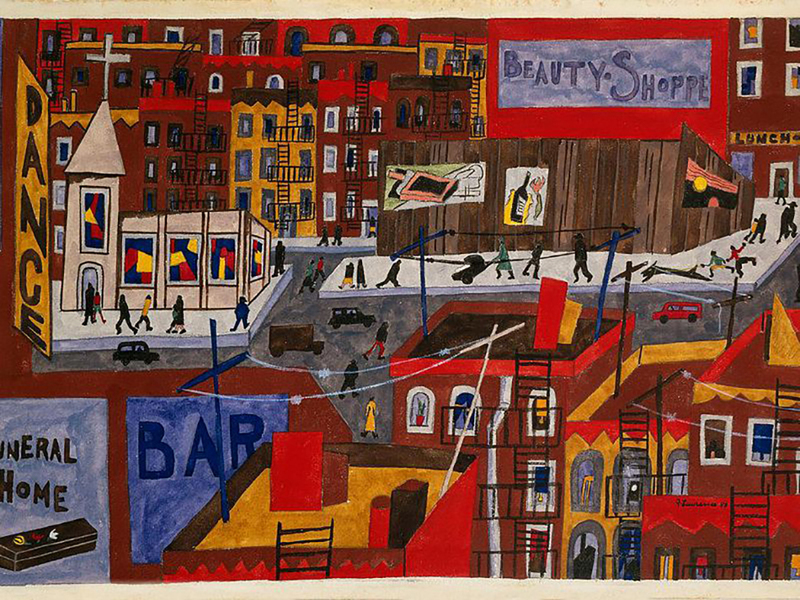 One of the students of Utopia Children’s House was the renowned African-American artist Jacob Lawrence. 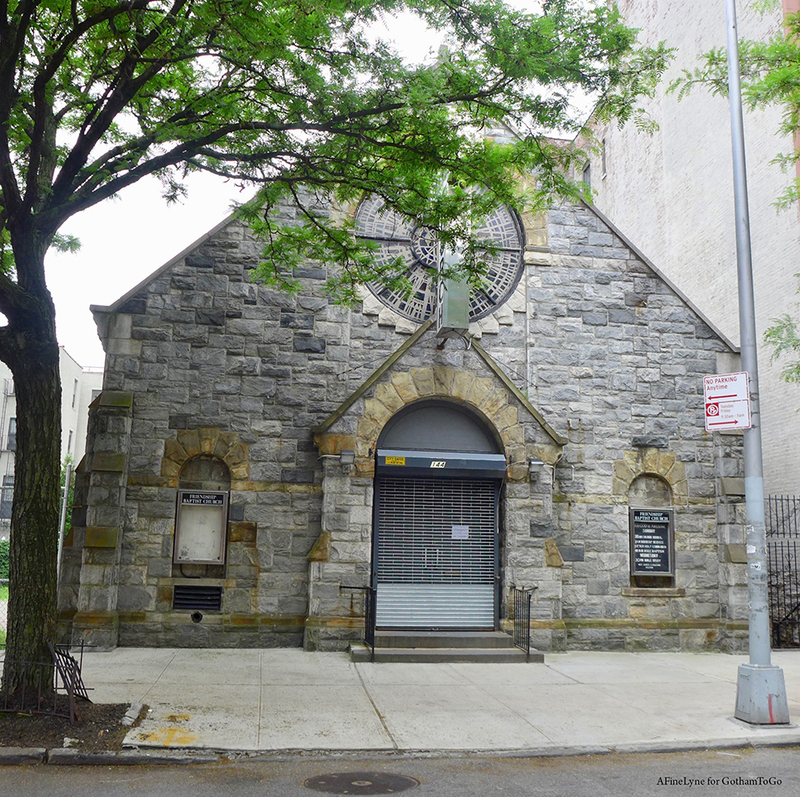 The women of the Utopia Club hired Vertner Woodson Tandy as the architect to redesign the facade of their building on 130th Street. Tandy became the first African American architect registered in New York State. 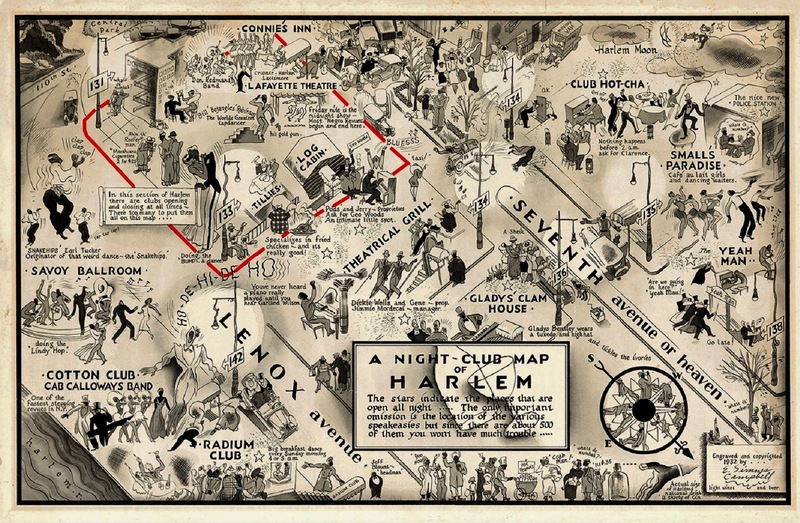 The new historic district is highlighted in the above illustrated 1933 map, showing the popular night spots of the time, within the three-block area, as well as proximity to other well-known clubs in the immediate area. The Lafayette Theater, which was built in 1912, was located on Seventh Avenue and 132nd Street. It was the first major theater to desegregate its audience. It was supported by the Federal Theater Project WPA and employed a large number of actors and actresses who lived in the surrounding blocks. The theatre was a center of networking for black theatrical professionals. 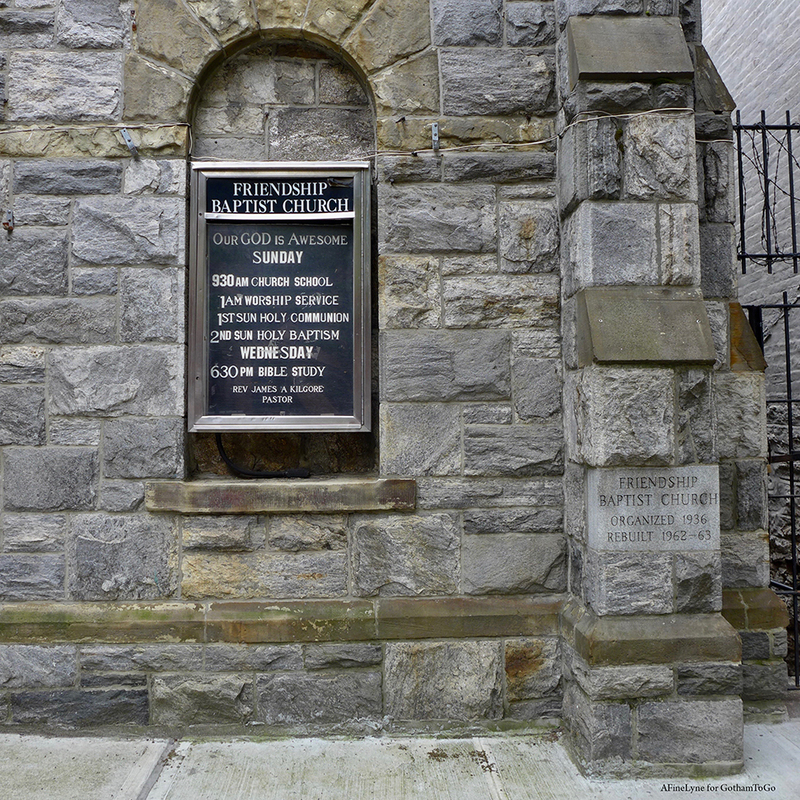 James Reese Europe (1880-1919) the popular bandleader and a founder of the New Amsterdam Musical Association (NAMA), layed in rest at a funeral parlor located at 116 West 131st street; and the New Amsterdam Musical Association (NAMA), the oldest African-American musical association in the United States, is still located at 107 West 130th Street. 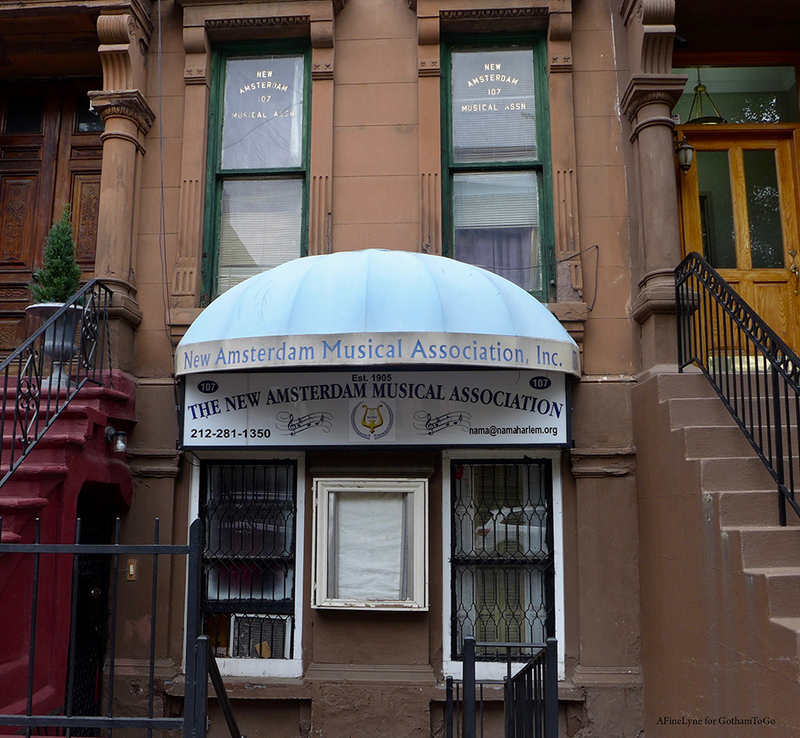 The renowned ragtime and jazz musician Eubie Blake was a long-standing member of NAMA and lived in the townhouse that was their headquarters. 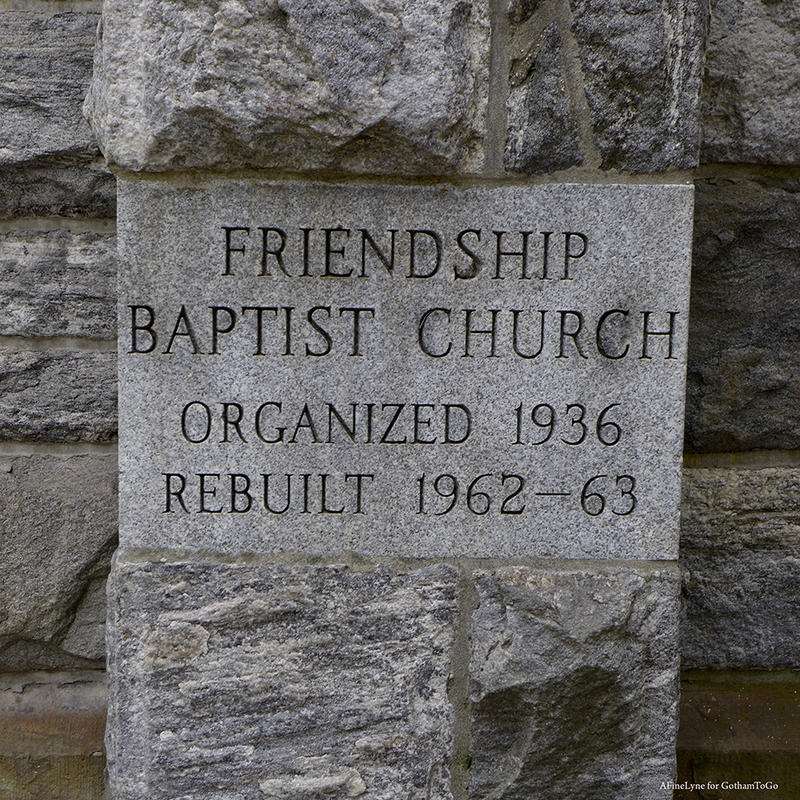 The Friendship Baptist Church, located at 144-146 West 131st Street was actively involved in the fight for civil rights, with a Pastor (Dr. Thomas Kilgore, Jr.) who was an associate of Dr. Martin Luther King Jr. 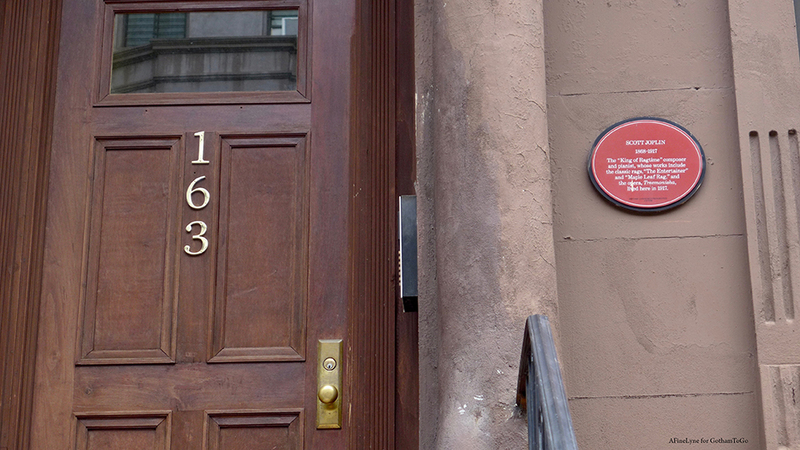 In 1963, 170 West 130th Street (which was the Sojourner Truth House) was used as the National Headquarters for the March on Washington, with Bayard Rustin (1912-1987) as chief organizer. 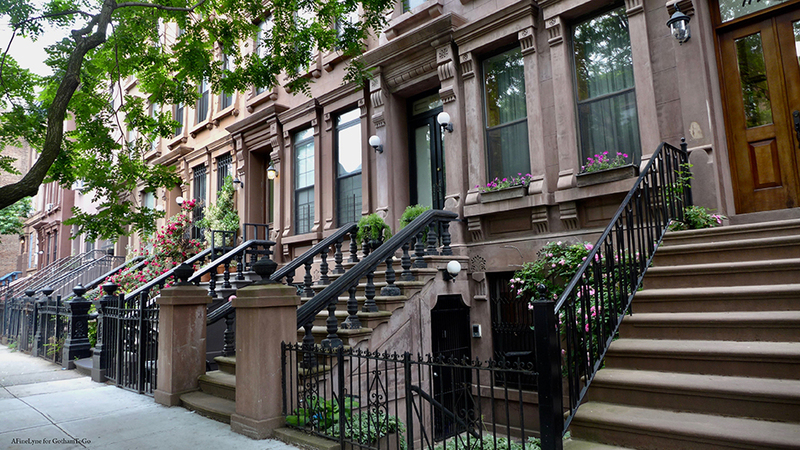 Today, while there is more diversity, the neighborhood still reflects the social and cultural Harlem which makes up this historic district. Let’s take a walk along the three-blocks today. 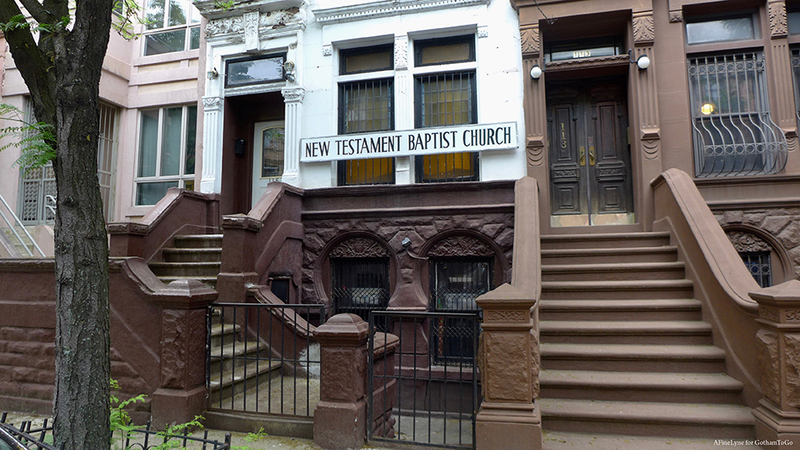 Beginning at Lenox Avenue, and walking toward Adam Clayton Powell Jr Blvd, row houses continue to sit alongside churches, like the Beulah Baptist Church, mid-block. 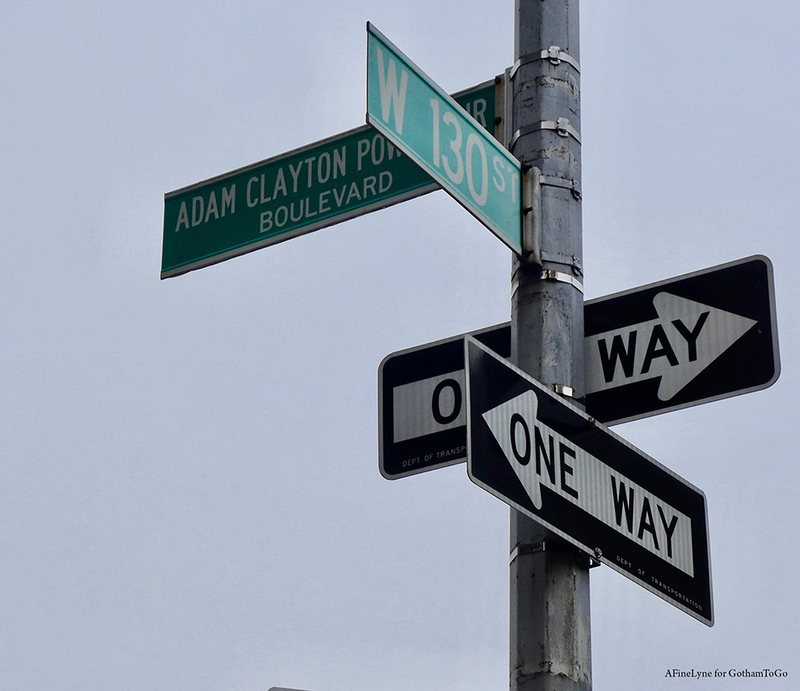 Turning the corner, on West 131st Street between Lenox Avenue and Adam Clayton Powell Jr Blvd. 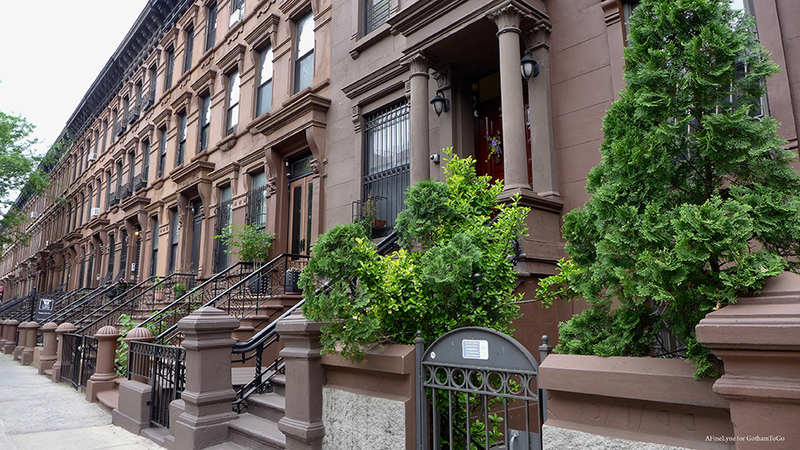 West 131st Street still consists of single family and multi-family homes, funeral homes, and churches. 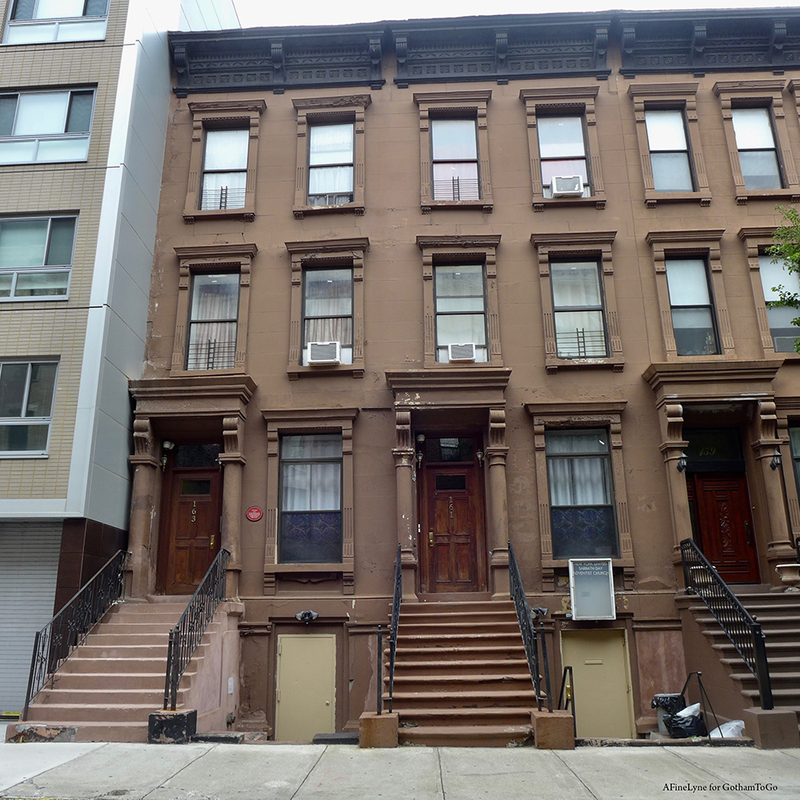 The townhouse above, located at 163 West 131st Street was the home of Scott Joplin, King of Ragtime, who lived there in 1917. 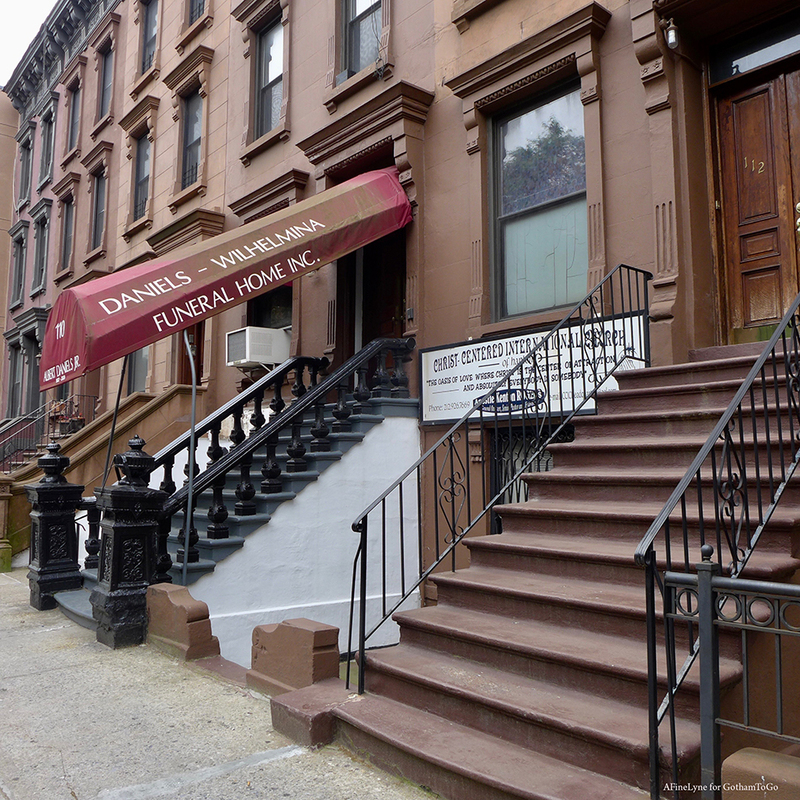 Daniels-Wilhelmina Funeral Home is across the street from New Testament Baptist Church on West 131st Street. 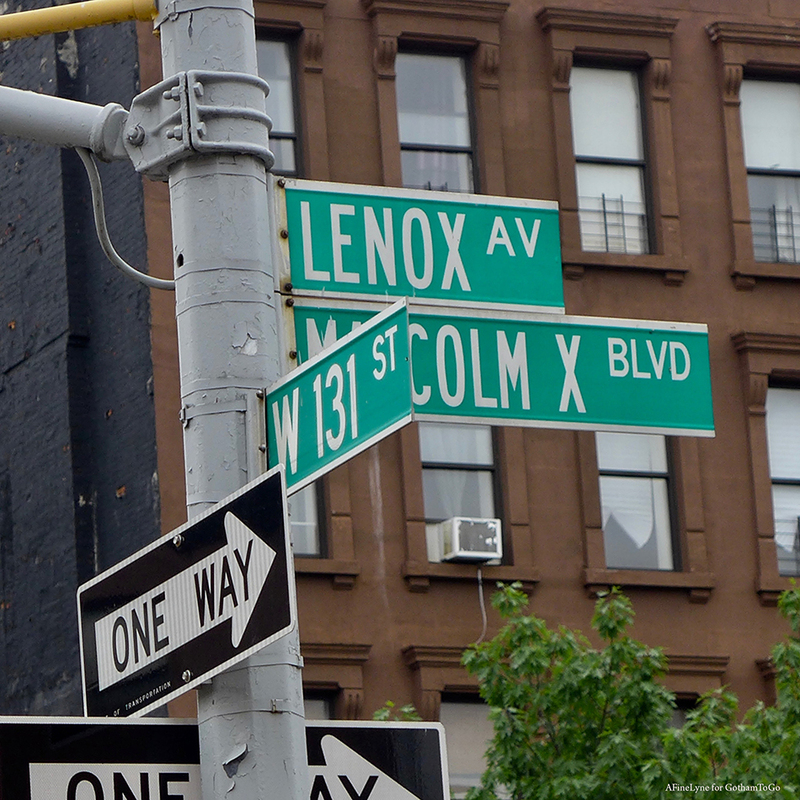 Turning the corner to walk on West 132nd Street, between Lenox Avenue and Adam Clayton Powell Jr Blvd. 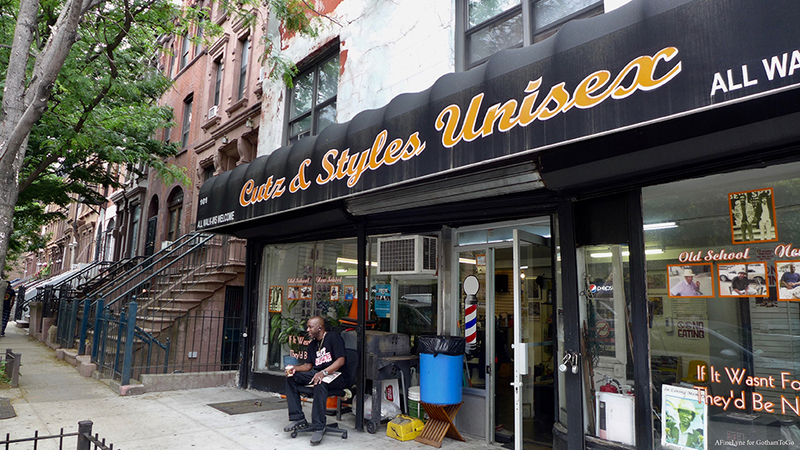 Located on the historic block of West 132nd Street is a familiar sight ~ one of the Barbershop Books Haircutters, Cutz & Styles. 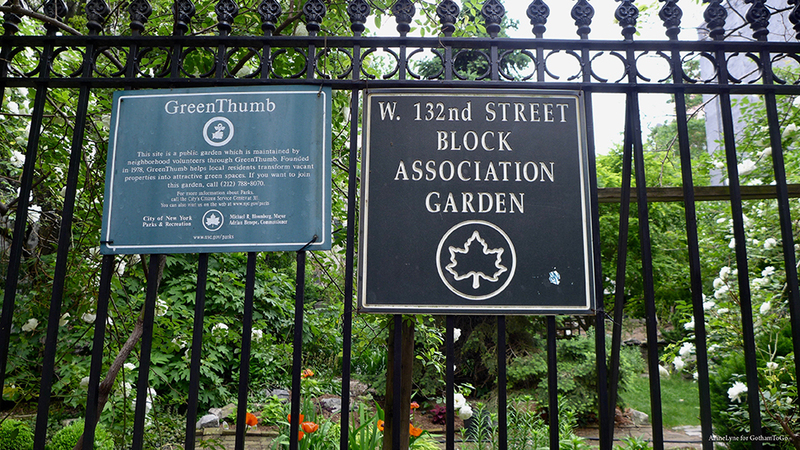 Mid-block on West 132nd Street, a Green Thumb Community Garden. A subcommittee hearing on this designation will take place on August 14 at City Hall at Noon, and a full City Council vote will take place on September 12, 2018. All are encouraged to be present and speak. We’ve found an interesting documentary source book entitled Race and Real Estate: Conflict & Cooperation in Harlem, 1890-1920 by author Kevin McGruder to expand our understanding of this area from a historical perspective. 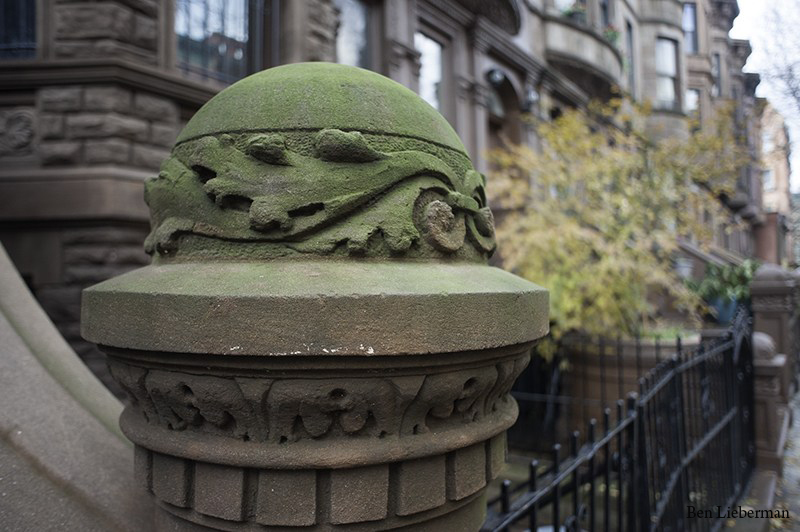 Looking just outside this historic district, Astor Row graces the West 130th Street block from Lenox Avenue to Fifth Avenue ~ designated a New York City Landmark in 1981. 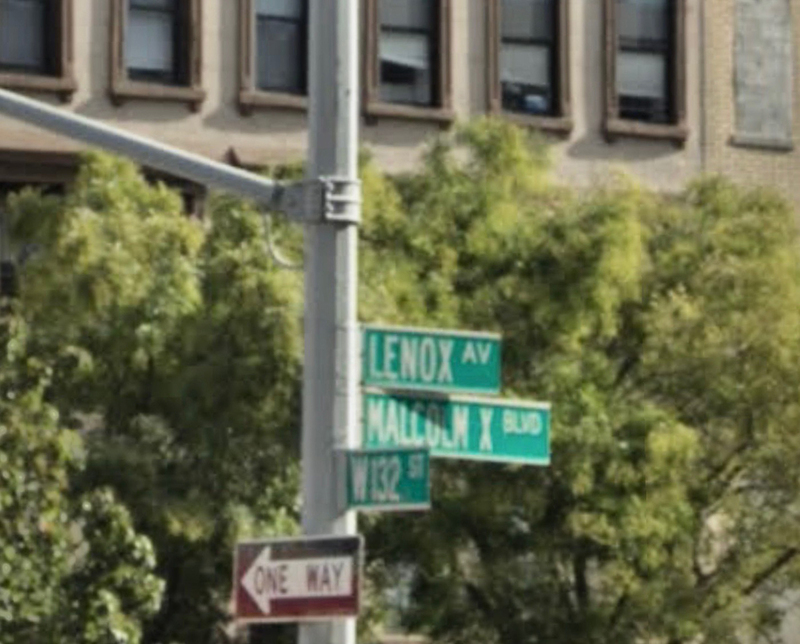 Walking just a few blocks North, Revolution Books on Lenox Avenue near 132nd Street, and on to 135th Street, the Schomburg Center for Research in Black Culture. Music is still in the air at Bill’s Place on West 133rd Street, American Legion Post 398 on West 132nd Street, Paris Blues on Adam Clayton Powell Jr Blvd at 121st Street, Showman’s on West 125th Street, The National Jazz Museum at 58 West 129th Street ~ with so many musicians living in the area, music is everywhere with Harlem Late Night Jazz and Jazzmobile. Not-to-miss, The Apollo Theatre. 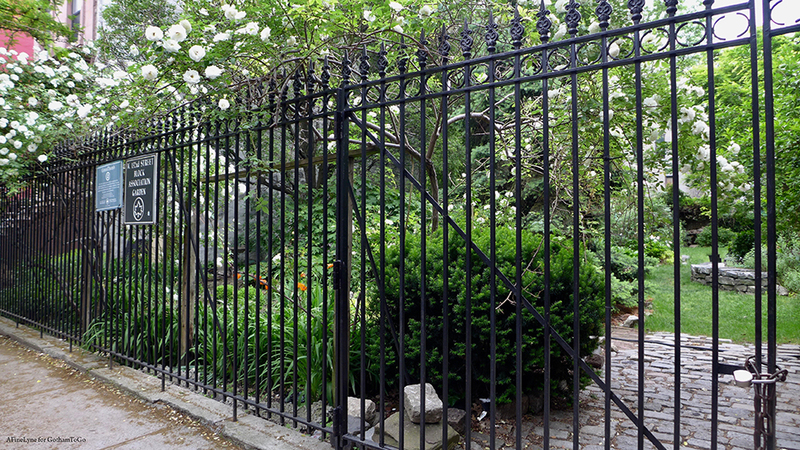 Coming up in June ~ a historic district a few blocks South, Mount Morris Park, will hold its annual House Tour on June 10th. More designations in the area. Thank you for sharing these news! One of the great pleasures in living here is to feel surrounded by such great history. 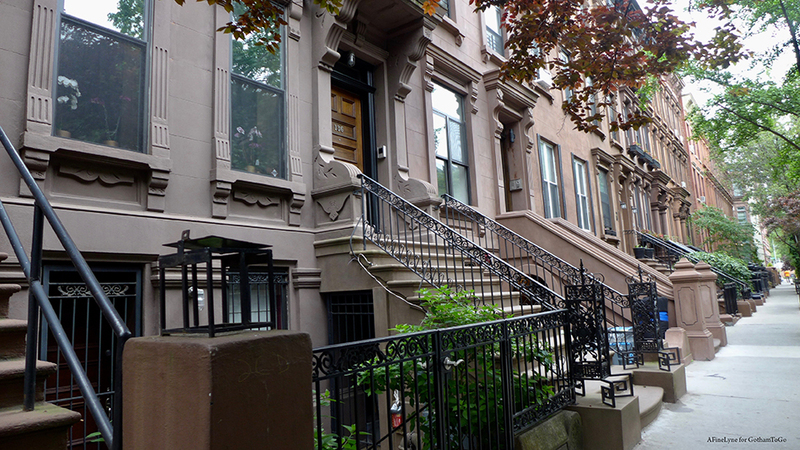 Further west, on Convent Avenue and 130th Street are some buildings that were designed by the famous firm of McKim, Mead and White. They are beautiful apartment building. My mother was born in the one called the St. Agnes (they were named after saints because the land was purchased from the Episcopal Diocese of New York. 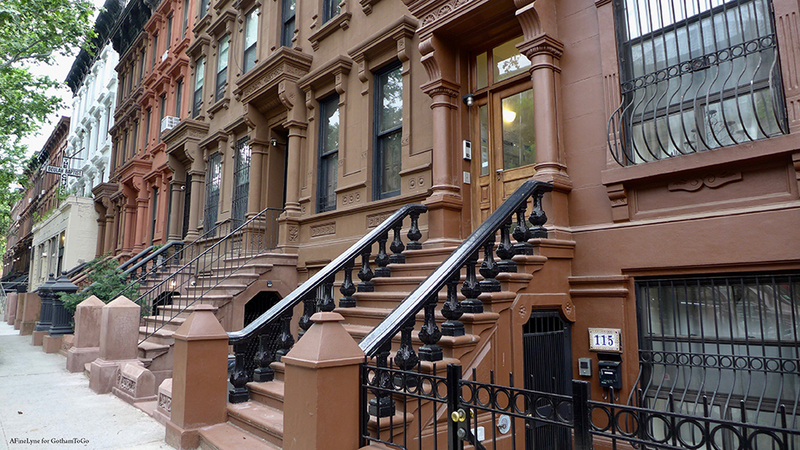 These buildings are also worth landmarking.